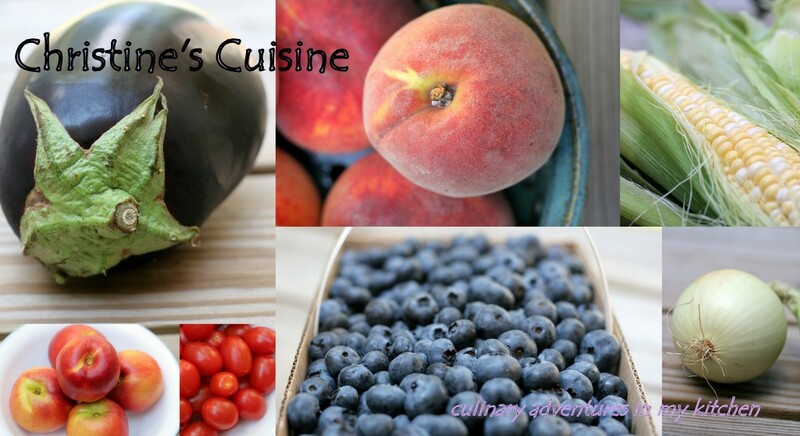 Aren’t fresh tomatoes off the vine just the best – I love eating them freshly picked with just a sprinkle of salt. This is a really fun dish that has a beautiful presentation. 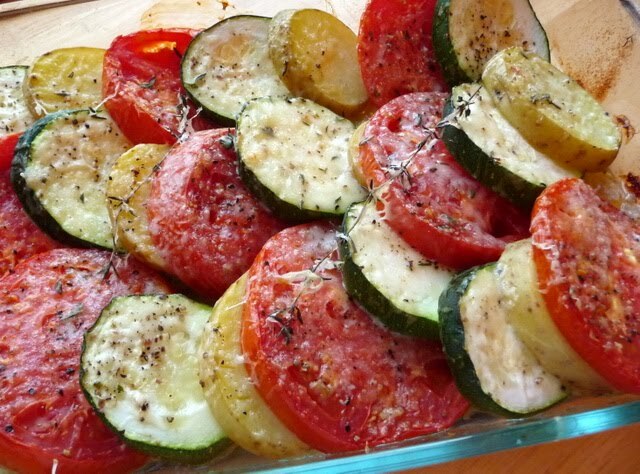 It combines fresh tomatoes with zucchini and potatoes – everything is roasted in the oven until tender. The potatoes are the limiting factor in this dish – since they take the longest. 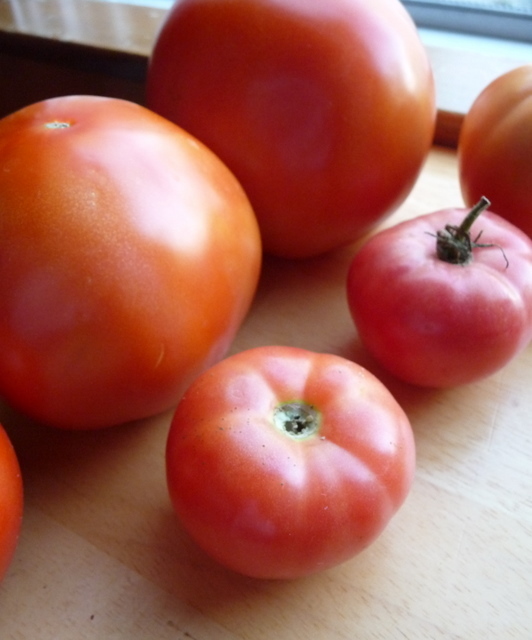 But the tomatoes really steal the show here – they are so juicy and flavorful when roasted. Yum! 1. Preheat the oven to 375 degrees. Spray a 2 qt. baking dish with olive oil spray. 2. Heat 1 tablespoon olive oil in a sauté pan, and cook the onions over medium heat until translucent, about 8-10 minutes. Add the garlic and cook for another minute. Spread the onion mixture on the bottom of the baking dish. 3. Slice the potatoes, zucchini, and tomatoes in 1/4-inch thick slices. Layer them alternately in the dish on top of the onions, fitting them tightly, making only one layer. 4. 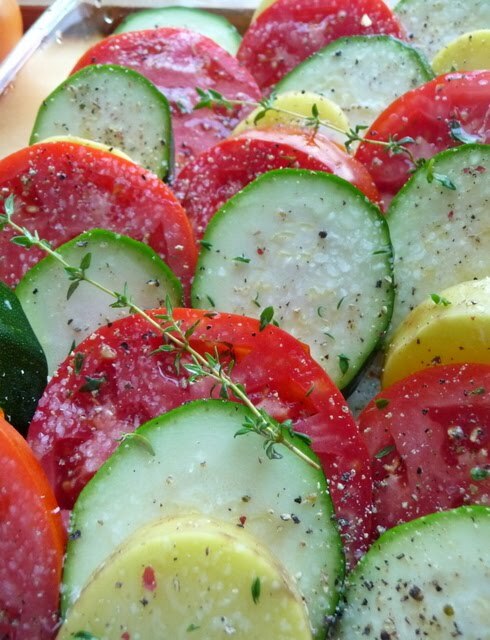 Sprinkle with the salt, pepper, thyme leaves, and thyme sprigs. Drizzle with 1 more tablespoon of olive oil, if desired. 5. Cover the dish with aluminum foil and bake for 35-40 minutes, until the potatoes are tender. Uncover the dish, remove the thyme sprigs, sprinkle the grated cheese on top , and bake for 30 minutes more, or until browned.